91outcomes.com: Treatment Research Profile: Dr. Ron Bach and the "Gulf War Proteome"
Treatment Research Profile: Dr. Ron Bach and the "Gulf War Proteome"
The following was published on March 7, 2013 by the Congressionally Directed Medical Research Program (CDMRP) as a research feature, highlighted on the main CDMRP webpage. Dr. Ron Bach, whose work is profiled in the article below, is one of a number of CDMRP-funded GWI treatment researchers working to make a difference in the health and lives of veterans suffering from Gulf War Illness. CDMRP remains the only treatment-focused federal medical research effort in the more than two decades since the 1991 Gulf War. Gulf War Illness (GWI) is an unexplained chronic multi-symptom disorder, resulting from service in the 1990-1991 Gulf War, that afflicts an estimated 200,000 Gulf-deployed U.S. Veterans. Frequently observed symptoms related to GWI include pain, fatigue, cognitive difficulties, and gastrointestinal problems. Dr. Ronald Bach at the Veterans Affairs Medical Center in Minneapolis (VAMC Minneapolis) is using a GWIRP Investigator-Initiated Research Award to further develop findings from VA-funded studies that indicated that ill Gulf War Veterans may be in a hypercoaguable state of unknown etiology. * The earlier work showed strong correlations between the plasma concentrations of inflammation-related proteins and symptoms of GWI. Thus, the hypothesis emerged that chronic inflammation is part of GWI pathophysiology. In the current study, Dr. Bach studied 85 Minnesota-based Gulf War Veterans, beginning with an in-depth health history of participants followed by a blood sample. During the structured interview each Veteran was evaluated for symptoms of chronic pain, chronic fatigue, and cognitive impairment using the established survey instrument. Platelet-free plasma fractions were analyzed for a panel of 89 inflammation-related biomarkers along with the plasma concentration of thrombin-antithrombin complex and D-dimer. In the course of this analysis it was initially determined that C-reactive protein (CRP) levels, a marker of systemic inflammation, were significantly higher in Gulf War Veterans with three symptoms (as defined in the health surveys) versus asymptomatic Veterans. Dr. Bach subsequently observed statistically significant linear correlations between CRP and a group of 18 plasma proteins. This set of pro-inflammatory potential GWI biomarkers has been labeled “The Gulf War Proteome,” though more in-depth analysis is pending. Dr. Bach states, “To the best of our knowledge this is the first study that brings [these proteins] together in a single proteome. 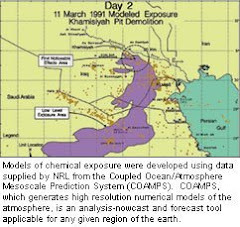 The identities of these biomarkers have much to say about the ill health that many Gulf War Veterans are now experiencing as well as their risks for additional chronic illnesses in the future.” The Gulf War Proteome is an inter-related collection of pro-inflammatory biomarkers whose direct functional relationships are well established. It is comprised of acute phase proteins, cytokines, adipokines, metabolic factors, growth factors, and proteins involved in tissue matrix remodeling. These findings have focused the search for therapeutic agents to treat GWI. With chronic inflammation emerging as a possible underlying cause of some GWI symptoms, it has become a potential therapeutic target. Thus, anti-inflammatory drugs are being examined for the treatment for GWI. Dr. Bach plans to propose a randomized double-blind placebo controlled clinical trial of an anti-inflammatory drug in veterans with GWI. The goal will be to determine if the intervention improves the health and well-being of veterans with GWI and corrects any of the observed biomarker abnormalities. * Hannan KL, Berg DE, Baumzweiger W, Harrison HH, Berg LH, Ramirez R, and Nichols D. 2000. 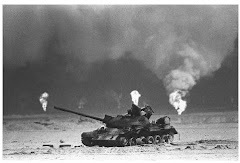 Activation of the coagulation system in Gulf War Illness: A potential pathophysiologic link with chronic fatigue syndrome, a laboratory approach to diagnosis. Blood Coagulation and Fibrinolysis 11(7):673-678. This is quite interesting. I will have to bring this up to my doctors. I've had elevated C-Reactive Proteins for years but the docs could never associate it with any other test results. This course of research makes me hopeful. It certainly makes sense when you dovetail Dr. Haley's and Dr. Golomb's research and theories. Sometimes its the little victories that make the biggest headway in winning the war.